My Vegas Mommy: PF Chang's 20% Off Takeout and Catering Orders Today (4/3) for the Game! PF Chang's 20% Off Takeout and Catering Orders Today (4/3) for the Game! It's a slamdunk...no, really, P.F. 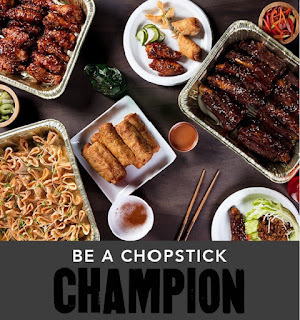 Chang's is offering 20% off any takeout or catering orders today (4/3) in celebration of the game, just use the coupon code: SLAMDUNK at checkout when ordering online. Valid 4/3 only.